Aerospace Techdays 2018 is a joint initiative of Aerospace Cluster Auvergne-Rhône-Alpes members which invite you to fly to the future with their best innovations dedicated to aerospace platforms and systems. The Premium session is dedicated to our guests. It requires a mandatory registration (below). AVNIR Engineering supports Research and Development teams on customer’s site. Our experts intervene, in domains related to mechanics and electromagnetism. Our main expertise is to understand the behavior of structures under vibration, shock and acoustic, dynamic behavior of heavy and light fluids, fatigue and damage tolerance of materials, and electromagnetic compatibility (EMC). Our studies focus on on-board equipments for aircrafts and spacecrafts. 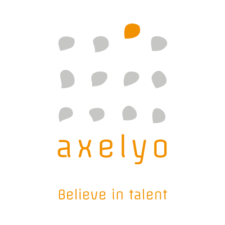 axelyo, recruitment and HR consultancy in Lyon, Paris, Grenoble, Asia, Africa. axelyo provides support for its clients on issues related to the development of Human Capital, including recruitment of managers, experts and senior executives and HR consultancy. Our Consultants are all confirmed professionals, with extensive operational experience.